I can not believe we are nearly half way through June already. Although it still feels like a long time to go until we get to meet our baby boy, there is actually not a long way to go. On the 23rd of June I will find out the date of my induction but that will be kept secret from the blog and everyone else, except for close family and friends. Never in a million years did I think I would give my girls a baby brother. Never did I think I would be a Mum of 3. 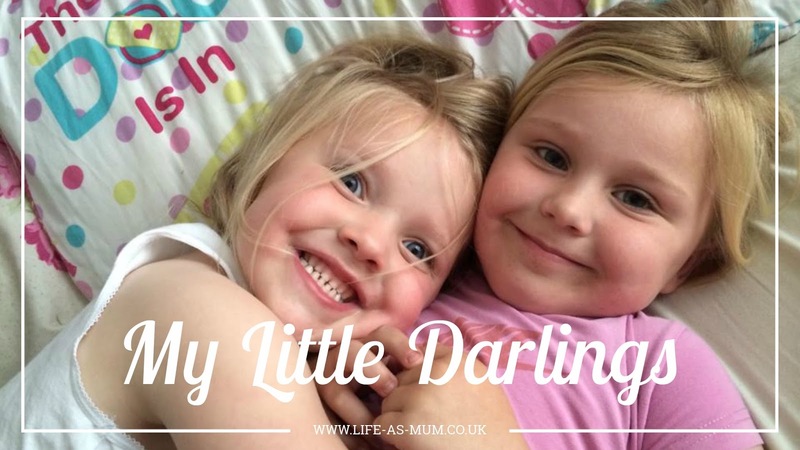 For some reason, even though I wanted another baby, I still thought I'd never have another one and I would just be a Mum to my two little girls. Coming onto 34 weeks and still attending my hospital appointments twice a weeks with a few extras some weeks, I am actually exhausted and starting to feel fed up. Which I shouldn't really because this is my last ever pregnancy, so I should be trying my best to enjoy it but feeling extremely uncomfortable, looking after two children whilst pregnant and having Obstetric Cholestasis, it is pretty hard to enjoy it. What I am really struggling with at the moment is this hot weather and having to do the school runs. I am lucky that sometimes during the week someone will go and pick Mia up once or twice a week but I can't expect it all the time. The housework is falling behind but I am trying my best to keep on top of it and also trying to sort out the baby's bedroom. It's nearly finished and all clothes have been kept in draws ready. The hospital bag is going to be packed very soon, I have got baby's things ready but I still have to decide what his coming home outfit is. I will be doing my hospital bag at the end of the month after me and my partner have come back from Liverpool for a night stay. I am so excited for my girls to meet their baby brother. They both love talking about him and they both love coming up to me for a cuddle and they will give my bump a cuddle and a quick kiss too, which is just adorable. They are so caring over their brother already and he isn't even here yet. It will be so interesting to see how they will be towards him when he is home with us. I think both of them may be pretty similar towards him. If he cries, I can see them both trying to help to keep him calm and if we go for walks, they will both want to push the pram. I also think Mia will be the one who will cuddle him the most but they will both ask for lots of cuddles. It will be interesting to look back on this post after he is a few weeks old to see if I was right. As I am still getting the last pieces together for Baby boy, I am still trying to get things together for the girls. I have decided since it is a big gap since Mia was a big sister last and the first time for Elliw to be a big sister, I am going to treat them to a few special things. Some things they can keep, wear and play with. I have a few things on my mind and I have already purchased a couple of items. I will do a post soon when I have everything together. I'm so excited for when they visit me and their baby brother in hospital and then they can have their presents. They are growing up so quickly and both have grown in different ways which is really interesting but also sad to see too. I am so proud of them and so proud of how they are both coping to be having a baby brother soon. Elliw keeps asking me two or three times a week how long there is to wait until her baby brother arrives and we count how many weeks on her hands and she gets so excited, jumping around too. One day last week we took a different route on the school run back home. The sun was shining, the girls were running and playing and then I remembered, it was the perfect opportunity to take an updated photo of the girls together. I think I started taking a photo when Elliw was about 2 years old, I am not 100% sure though. 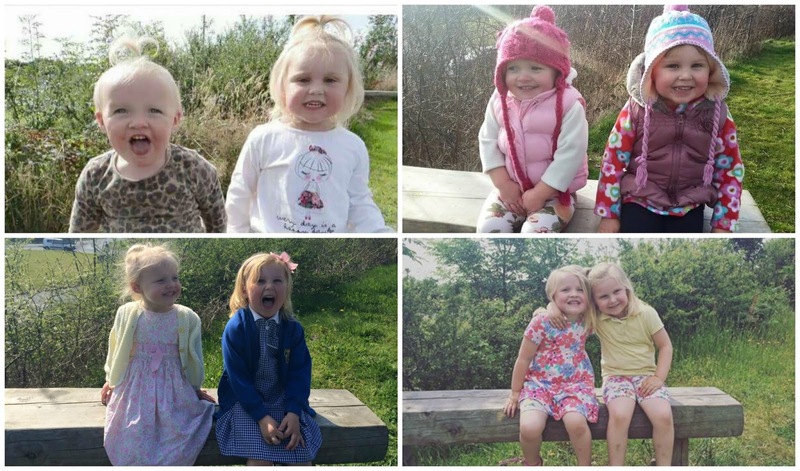 But I have taken a few photos of the girls sitting on the same bench since then and it's amazing looking back at the photos and looking at how much they have grown. Time certainly does fly, doesn't it! I can't believe June is almost half finished. I think getting the girls some gifts for themselves is a good idea too. They must be so excited about their baby brother! Congratulations on your beautiful growing family. Haha they are so cute! All together, always smiling big! Congratulations for the new one! 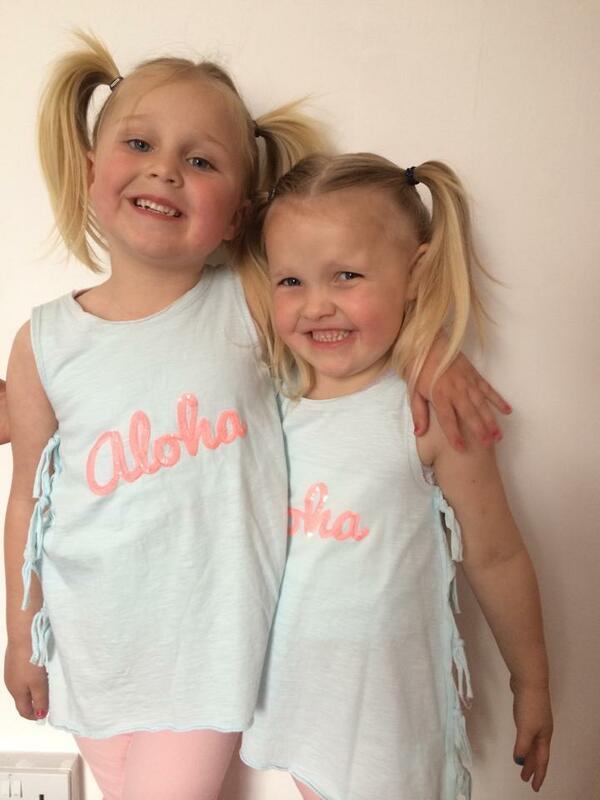 Two gorgeous girls who will most definitely adore their baby brother when he comes! I love their little matching outfits! I can't wait to see your new addition! Your girls are so cute. I bet they are looking forward to meeting their new sibling. lovely photos, I hope your induction goes well. It's very exciting isn't it?